100% of all funds raised will be donated! DonateÂ to King Ridge Foundation. Just make a donation right here and now without any strings attached! On October 31, Russian River Brewery released their Sonoma Pride beer. 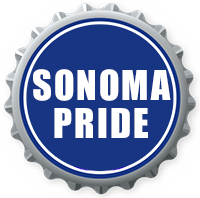 Others have and are releasing their own brews under the Sonoma Pride label.Â 100% of the sale of these beers will be donated directly to this fundraising effort. Click on the link below to take a look at our Participating Companies. Donate NOW, and for every $25 given, you'll be entered for a chance to win line cutting privileges toÂ the Pliny the Younger 2018 release! Raffles on November 13, 14 and 15.Â We will draw 4 names per day. This form is 100% SECURE. If you would like to open this secure form in a separate window,Â CLICK HERE. Our tax ID isÂ 27-0420906.